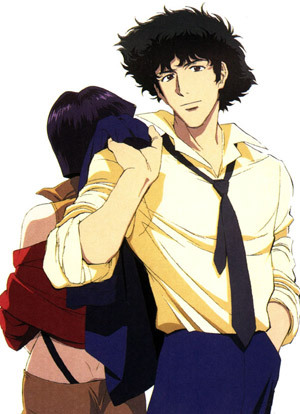 Cowboy Bebop restored my faith in anime. At the time, I was getting pretty bored with all anime, because they were all beginnning to look the same to me. I just couldn't be bothered to invest my time in something which would turn out to be pretty much the same as something I'd previously seen. With no new concept or plot twist. 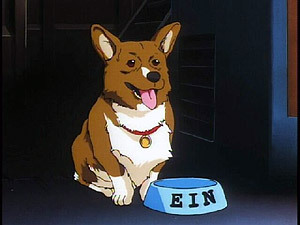 But Cowboy Bebop changed everything. I love the fact that it shows a plausible future, one where there are realistic inter-planetary highways in space and the fact that there are all sorts of people with different nationalities, as with most modern day multi-ethnic cosmopolitan societies. The soundtrack to Cowboy Bebop is ace, with songs in japanese, english and french. The soundtrack also crosses musical genres, with a bit of jazz, blues, techno and some acoustic guitar pieces. It really adds to the feeling that this anime is for the world and not just Japan.